Cheap flights from main airports in Germany to Brazil from €350! Based on similar TAP Portugal promotion to Brazil as the one from France we posted yesterday we have another great option from Europe to not the most common destinations in this South American country. This time travelers in Germany will apprecited discounted return (as well as open-jaw) tickets to Fortaleza, Salvador da Bahia, Belém or Natal available already for €350! This is for a roundtrip flight including all taxes, onboard meals and hand bag. Checked luggage only available for extra fee.. If interested in this discount deal with TAP Portugal you will find the cheapest flights when departing from Germany to Brazil from May to June, September to November 2019 and January to March 2020. Building an open-jaw ticket is permitted. Stopovers in Portugal available – max 120 hours. No bag in hold in base fare. Fare class is “O“. TAP promo sale is running till 30th of April or until sold out..
We recommend you firstly compare the cheapest flights via Google Flights (Guide). The tool gives you almost instant result and you can easily browse throughout all the months. You can then book this deal directly with TAP Portugal or your preferred booking agent. If interested in this offer you can refer to our booking samples below. Departures from Munich, Berlin, Hamburg, Dusseldorf, Frankfurt, Stuttgart or Cologne. 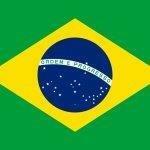 You can book your accommodation in Brazil via Booking.com. Also you can further discount your hotel when using one of following promo codes. Booking sample of cheap flights from main airports in Germany to Brazil (Belém, Natal, Fortaleza, Salvador da Bahia) from €350! As per above link you would fly from Munich to Fortaleza on 19th of November. Inbound from South America back to Geramny on Sunday, 8th of December 2019.